Spesia & Taylor has an established history as one of the leading municipal law firms in Will, Kankakee, Grundy and surrounding counties. Our attorneys are actively engaged in developing and navigating what are often diverse and complex areas of municipal law, ranging from day-to-day operational issues, such as compliance with the Open Meetings and Freedom of Information Acts, to complex development deals and litigation defense in lawsuits involving allegations of constitutional and employment law violations. Our attorneys analyze actual and potential legal implications related to municipal governance. We craft strategies and draft legislation that achieve municipal objectives while ensuring compliance with statutory and constitutional requirements. More importantly, Spesia & Taylor provides the expert counsel upon which municipal officials rely to be good stewards of their municipalities and to provide the best possible representation for the citizens of their communities. Our current list of municipal clients includes the Villages of New Lenox, Manhattan, Bradley, Rockdale, Minooka and Grant Park, and the City of Crest Hill. We also serve as special counsel to other communities such as the Village of Homer Glen and the City of Joliet with specific, individualized problems or special legal issues. The rapid growth in the Chicagoland area has created land development and growth-related issues for local governments. These matters are often exceedingly complex and require detailed knowledge across several legal disciplines. Spesia & Taylor commonly handles complex municipal annexations, boundary disputes, redevelopment, condemnation, and zoning matters. The municipal attorneys at Spesia & Taylor are well-versed in special service and special assessment areas, tax increment financing areas, sales tax incentive agreements and real estate tax abatement agreements. Our attorneys can skillfully guide governmental bodies through these vexing development-related issues to meet long-range planning objectives. Municipal governments are often confronted with litigants claiming violations of their civil rights or alleging discriminatory conduct under federal and state statutes. Spesia & Taylor commonly represents municipal governments, employees, and officials in 1983 lawsuits. These claims include excessive force, wrongful arrest and other civil rights violations. Our attorneys also litigate employment claims in both federal and state courts, as well as administrative proceedings before the Equal Employment Opportunity Commission and the Illinois Human Rights Commission. The experienced team of municipal litigation attorneys at Spesia & Taylor work diligently to obtain favorable results for our clients in these forums. Our litigation team resolves contract and personal injury cases with varying levels of complexity from initial case filings all the way through trial. Spesia & Taylor’ attorneys possess both a depth of knowledge and significant real-world experience applying the Illinois Tort Immunity Act to obtain favorable rulings on related clams and issues. Our attorneys prosecute ordinance violations and other municipal citations. These range from routine traffic citations to misdemeanor criminal offenses. Our local prosecutors work closely with our law enforcement personnel to successfully prosecute municipal citations and ordinance violations. Our prosecutors also work with our police departments in responding to FOIA requests and subpoenas in order to ensure full compliance with the myriad of laws governing record production. Attorneys at Spesia & Taylor also have experience navigating the various issues associated with election objections as well as assisting our municipal clients through labor negotiations, including mediation and arbitration of labor issues. 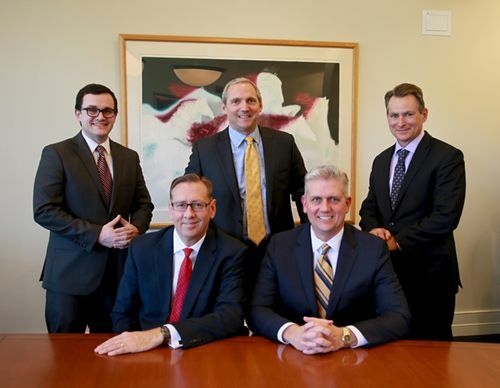 Christian Spesia, Jeffrey Taylor and Michael Stiff provide experienced representation of the Firm’s municipal clients. Christian Spesia is a past President and current member of the Illinois Local Government Lawyers Association’s Board of Directors. He has been involved in day to day representation of municipal clients since joining the Firm in 1994, with specific emphasis on real estate, land use and development matters. Moreover, attorneys from Spesia & Taylor have chaired the Will County Bar Association’s Local Government Committee and have participated in the Illinois Bar Association’s Local Government Section Counsel. Jeffrey Taylor has worked on behalf of municipal clients throughout Will and Kankakee Counties. He has represented municipal clients in labor negotiations, administrative and court proceedings as well as acting as day to day municipal counsel. Michael Stiff is an experienced litigator who has handled municipal litigation cases in state and federal courts in Illinois on behalf of Firm clients. He is also experienced in labor, personnel, zoning and land use matters as well as day to day municipal representation. Michael Hopkins is an experienced municipal attorney and local prosecutor. Bradley McCann, an experienced tax attorney and licensed CPA, acts as a resource to municipal clients relative to complex tax matters.